“On 4/8/19, at approximately 6:00 p.m., First District officers responded to the 200 block of N Street SW for the sound of gunshots. Officers found evidence of gunfire, including damage to a fence. Fortunately, no one was struck by the shots. During the investigation on-scene, the following suspect description was developed: black male, wearing a black hooded jacket or sweatshirt with a white stripe on the rear, black pants, and black and white shoes. 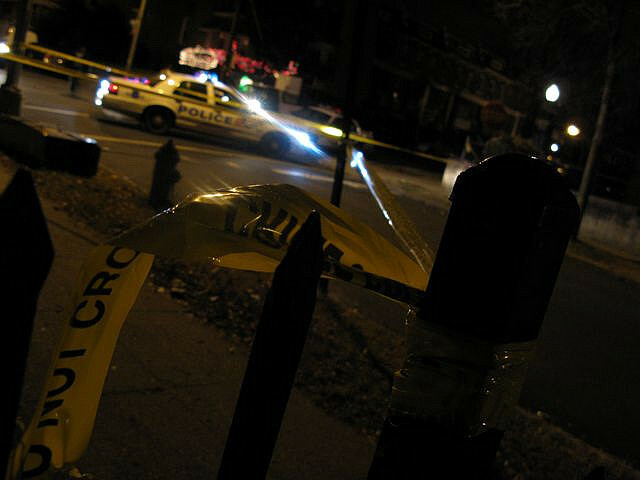 “Last night around 8:20 hours, Fourth District units were dispatched to the sounds of gunshots in the 700 block of Webster Street, NW. A thorough canvass was conducted, and no injured parties were located. One vehicle was found with damage believed to be from the gunfire. The cause of this incident has not been determined, and is under investigation by the Fourth District Detective’s Unit. Anyone with information or video that may be relevant to this incident is asked to call 202.727.9099, or text 50411. The case number (CCN) is 19-059-556.